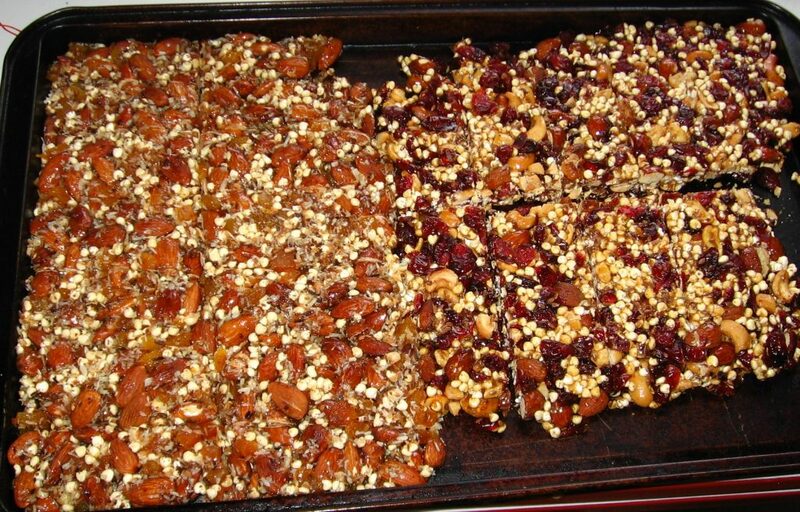 Here is one of my favorite trail recipes (especially for pizza lovers). It is easy and fast with no cooking required, perfect for those days when arriving at camp late and the last thing you want to do is fumble around with a stove and complicated dinner preparation. 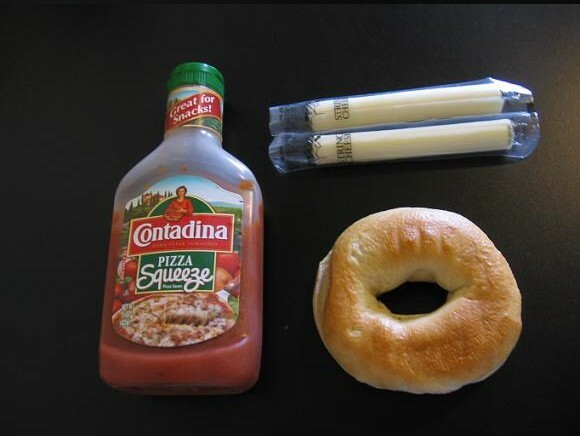 Contadina Pizza Sauce, Mozzarella Sticks and a Bagel. You can repackage the pizza sauce in a smaller container or double ziplock the required amount. It should stay good on the trail for at least a couple days even in warmer weather. I have had good luck with mozzarella sticks in hot and humid weather, they should stay good for a couple days out of the fridge. They do tend to sweat a bit in hot weather, just drain the liquid off when opening. Spread the equivalent of one or two tablespoons of pizza sauce on each bagel halve. 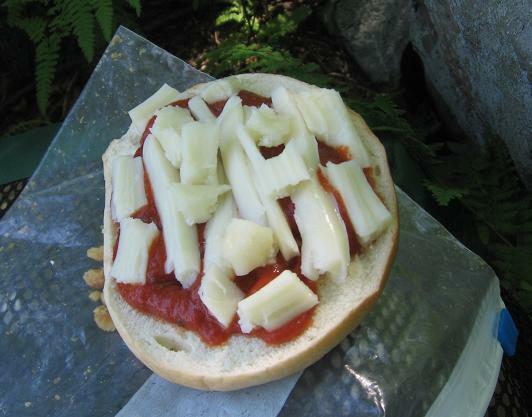 Dice or peel one mozzarella stick per bagel halve and ad to top. If you would like to get creative try adding different toppings such as pepperoni, dried pineapple, sun dried tomatoes or Jack Link’s Flamin’ Buffalo Style Chicken Nuggets. You can also try different varieties of bagels to mix things up. This entry was posted in Food on November 18, 2014 by jcammerota.